My COO Resources is an alternative resource for Small Companies wanting to establish a sustainable and growing business. Instead of hiring a Chief Operations Officer (COO) and/or an Operational Consulting firm to lead this effort, My COO Resources provides on-line solutions to guide your Small Business in identifying and addressing your operational challenges. Are your operational challenges limiting your ability to grow? Most companies – regardless of their size – deal with operational challenges that compromise their ability to meet and exceed their goals and objectives. My COO Resources provides an online interactive tool to help your business identify and address these and other operational challenges. 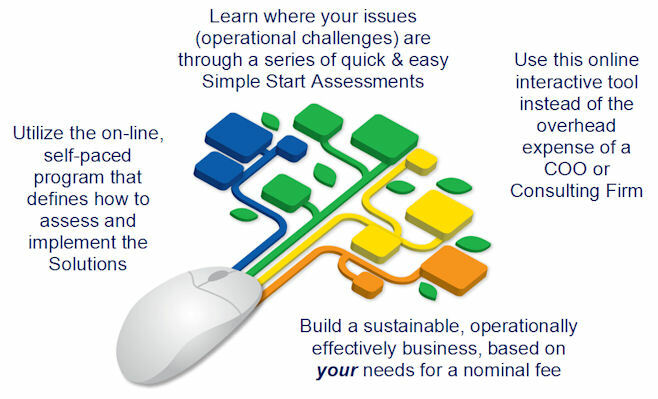 Through a series of free assessments, your operational challenges will be identified and prioritized. Then, My COO Resources provides on-line Solutions to address those challenges that ultimately will increase your Small Business’ Operational Effectiveness. Who benefits from My COO Resources? Any Small Business who is ready to take their organization to the next level and position it for further growth. It is also valuable for new Small Businesses or those wanting to position themselves for sale. Many Small Businesses recognize the importance of sales and marketing; however, they may not realize that without establishing a firm, operational foundation, they cannot sustain themselves. 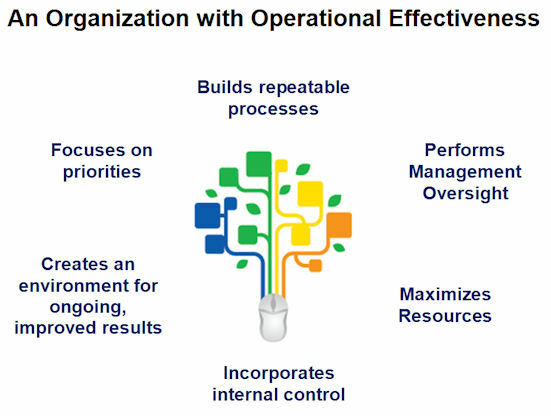 What’s your Operational Effectiveness Score? Through a series of free Assessments, your Small Business will learn its Operational Effectiveness Score (OE ScoreTM) and what operational challenges need addressed to improve that score. The goal is to have an OE ScoreTM that reflects Operational Effectiveness and positions the Company for sustainability… and growth. Why consider My COO Resources?